Australian specialty baby goods retailer, Baby Bunting, is transforming its online retail environment, moving beyond the traditional shopping cart and instead aiming to provide what it says are engaging customer experiences. As part of its digital revamp, the retailer has selected Sitecore to transform its online retail environment with Sitecore Experience Commerce 9 (Sitecore XC 9). The technology enables the baby goods retailer to create highly engaging experiences with rapid time to market. 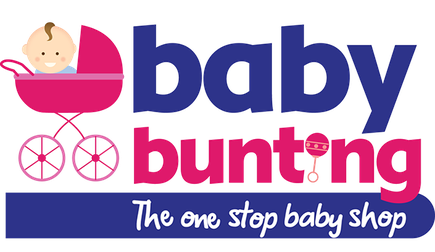 Established as a family-owned business with a single store in 1979, Baby Bunting has grown to now operate 47 stores throughout Australia with additional stores opening as it continues with its network roll-out plan. Baby Bunting has been driving significant growth online via its digital investments in mobile, customer relationship management and engagement technologies.The selection of Sitecore XC 9 is a key part of creating a frictionless customer experience across store and online environments in the future, according to Baby Bunting head of digital and IT, Cameron Rosel. He said traditional commerce solutions fall short of delivering long term customer engagement. Leveraging Sitecore XC 9 empowers marketers to deliver a unique experience through real-time omnichannel personalisation. As the Australian retail industry continues to increase investments in digital transformation, companies are aggressively working to implement differentiated strategies in order to optimise online sales and generate further customer loyalty via personalised engagement. “Our website re-platforming project is a strategically critical project for Baby Bunting. It is intended to provide us with a step change in our channel, delivering greater sales and more content to a highly engaged customer base,” said Baby Bunting CEO and managing director, Matt Spencer. The company will also have access to in-built analytics, helping it deliver consistently positive customer experiences throughout the entire customer journey.